A STRIKING display of almost 20,000 hand-crafted poppies will be unveiled in West Cornforth in honour of boys and men who paid the ultimate sacrifice during the First World War. The project to create a commemorative installation of 19,240 has been just months in the making but will be revealed to the public on Saturday, October 14, at 11am. 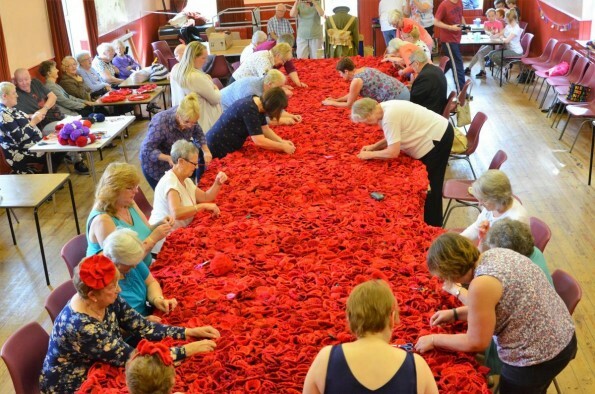 An astounding 23,000 knitted poppies have been produced by volunteers since April and 19,240 – the number of British soldiers killed on July 1, 1916, during the first day of the Battle of the Somme – have been attached to nets which will be hoisted eight metres above the ground in front of the village’s Church Hall. 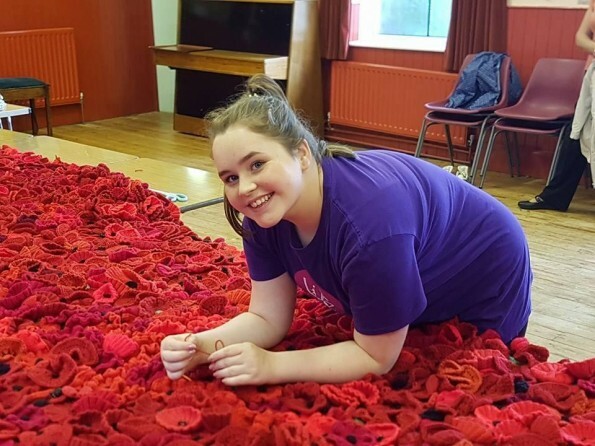 At the weekend volunteers gathered at the Church Hall to attach the last poppies to the nets, which are designed to represent a field of poppies. 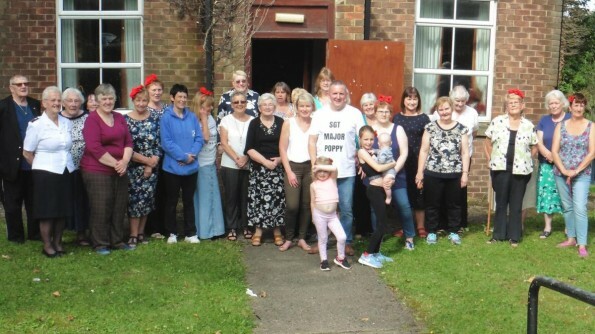 A picnic and Crafty Church was held on Sunday at the Church Hall, on Vicarage Road, to celebrate the “amazing achievement” of the poppy project team.